Septic patients do not usually die from their infection per se but rather from an overwhelming pathological host response to it. Given that treatment is limited to resuscitation strategies, anti-infectives, and source control , it is of no surprise that innovative approaches that modify the overwhelming systemic reaction are highly desirable. Novel adsorption techniques have recently attracted much attention and might represent a promising avenue for further investigation . In this issue of Critical Care Ankawi and coworkers nicely summarized the potpourri of extracorporeal techniques in septic patients ranging from (ultra) high-volume hemofiltration to modern adsorption devices and a combination of them . We enjoyed reading this article and the authors are to be congratulated for their thoughtful work, in particular with regard to the balanced nature focusing not just on promises but also on pitfalls of these methods. However, given the comprehensive presentation we were surprised that a nephrologist’s old friend—which might have an underappreciated role in extracorporeal modulation of the pathological host response—seemed to be forgotten, i.e., therapeutic plasmaexchange (TPE). The theoretical rationale for TPE goes beyond the simple (surely important) elimination of circulating injurious molecules. The exchange of septic with healthy plasma might also replace consumed protective factors that are of importance to maintain microcirculatory flow (e.g., ADAMTS13) and counterbalance vascular leak (e.g., Angiopoietin-1). About 2000 reports—mostly case reports or series—on TPE in sepsis have been published over the last 20 years. A recent meta-analysis identified four randomized controlled trials and found an association with reduced mortality in adults (risk ratio 0.63, 95% confidence interval 0.42 to 0.96) . None of the studies were powered for survival and the cohorts were quite heterogeneous in respect to clinical severity. Our own group has just released prospective pilot data on feasibility, safety, and secondary efficacy endpoints in early and severe septic shock patients (onset < 12 h, norepinephrine > 0.4 μg/kg/min) . Based on our observation that it is feasible to recruit such severely sick patients at an early shock timepoint, an appropriately powered randomized controlled multicenter trial (NCT03065751) is currently under review for funding in Germany. 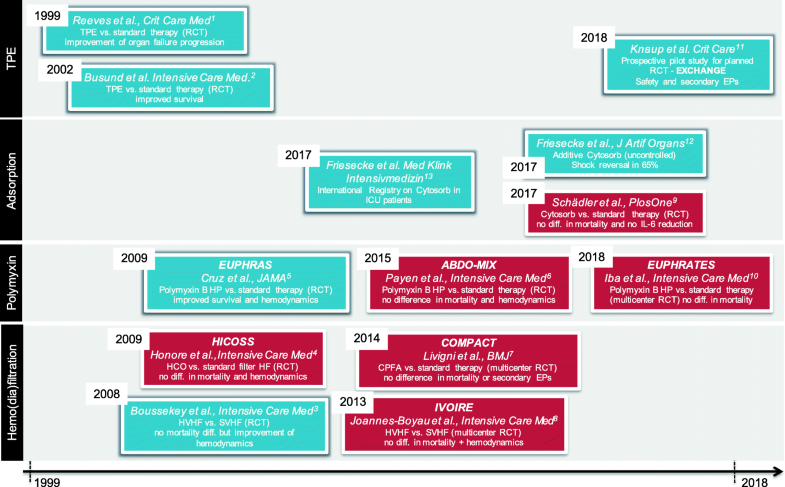 Figure 1 summarizes important studies in the field of extracorporeal strategies against sepsis over the past two decades. We strongly agree with Ankawi et al. that the currently available evidence is insufficient to support the use of any extracorporeal technique in sepsis to date. Let’s change this! SD is supported by the German Research Foundation (DA 1209/4–3). KS and SD wrote the manuscript. Both authors read and approved the final manuscript.